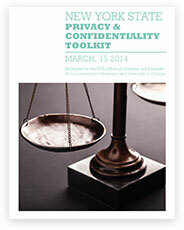 Read the blog Taking a Deeper Dive: Getting to Yes on Privacy and Confidentiality. September 14, 2018 - Getting to Yes on Privacy & Confidentiality Webinar. Join the Conversation!. This is the dilemma: Interoperability and information-sharing are vital tools for enhancing efficiencies, processes, services and outcomes – but some of the data that needs to be disclosed or exchanged is proprietary, privileged, personal or sensitive for some other reason. So, for over a dozen years, Stewards of Change Institute (SOCI) leaders have been developing and applying security- and trust-based approaches to advance responsible information-sharing across silos, while also protecting the privacy and confidentiality needs of the people and organizations to whom that information belongs. 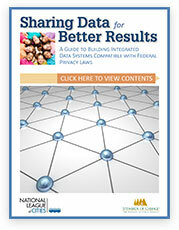 In order to accelerate progress and achieve broader impact, we have published several privacy and confidentiality toolkits that governments, agencies and other organizations can use to further their own interoperability and information-sharing objectives. 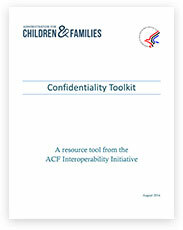 Click on the toolkit covers below to download, read and use them. Throughout its history, SOCI has also provided guidance and education to implement the toolkits’ learning, as well as to develop confidentiality and privacy agreements with organizations, agencies and jurisdictions seeking to further their own interoperability efforts. In addition to offering on-site consultation and training, SOCI is also developing a confidentiality and privacy module for its new InterOptimability Training and Certification Curriculum (ITCC). To learn more about ITCC, click here. To inquire about SOCI’s consultation and training, email info@stewardsofchange.org or call (631) 385-9246.